I love asparagus and we eat it a lot in my house. I try to switch up recipes for asparagus often so my children don’t get bored with it. My son especially loves it with lemon and feta while my daughter enjoys it roasted with vinegar. I have gathered together a collection of several different recipes for asparagus. There are side dish recipes like Asparagus and Tomato Sauté with Balsamic and Feta and Pan Grilled Asparagus with Lemon Shallot Vinaigrette. I have also included some main dish recipes likeAsparagus and Shrimp Stir Fry, Spaghetti with Asparagus, Mushrooms, Parmesan, and a Poached Egg, and Cream of Asparagus Soup. Click on the link to view all 25 Recipes That Make Asparagus Shine. Our asparagus has played out, but this makes me want to go plant some more. This is one hell of recipes, Pam! Can’t wait to try all of them out! 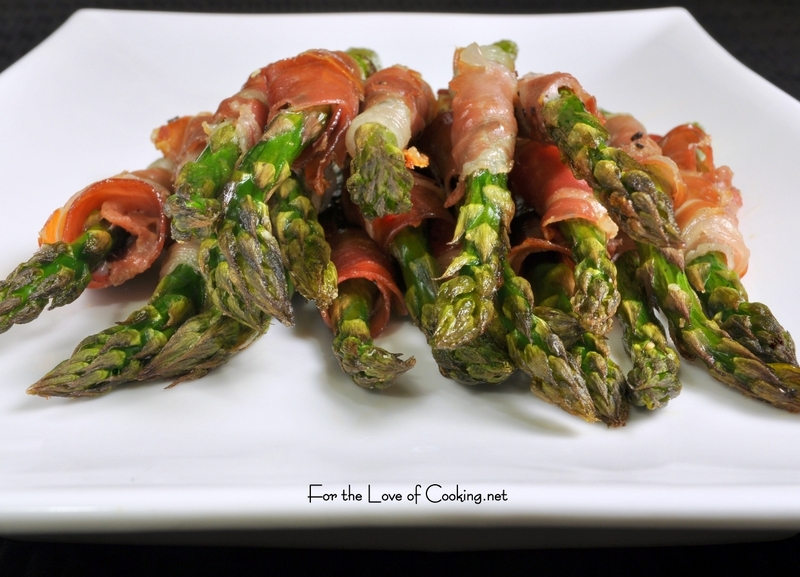 Love asparagus wrapped in prosciutto.